The Business Engagement Programme aims to support SMEs across the Armagh City, Banbridge and Craigavon Borough Council area with bespoke one-to-one mentoring support. To arrange an initial meeting, contact the Programme Manager at Armagh City, Banbridge and Craigavon Borough Council on Tel 028 3831 2551 or by emailing bep@armaghbanbridgecraigavon.gov.uk. 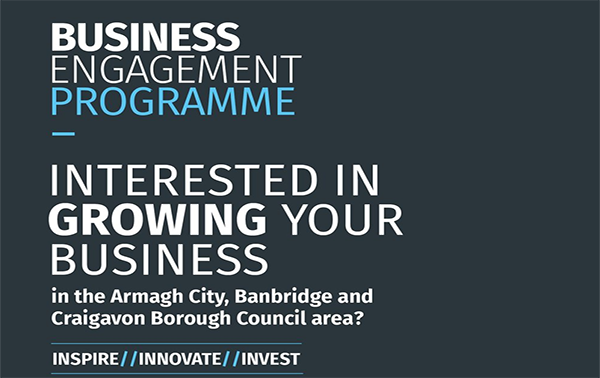 Read further details on Armagh City, Banbridge and Craigavon Borough Council’s Business Engagement Programme.